As Liverpool prepare to take on Arsenal in the Premier League on Sunday afternoon, here are some key stats and facts on the history of the clash. Liverpool have found the net 13 times in the last four home clashes with the Gunners. The Reds’ only clean sheet in the last 16 Anfield meetings came in February 2006—Jerzy Dudek was in goal in a 1-0 win. Liverpool have scored 182 league goals against Arsenal at Anfield. Only against Aston Villa (201) have they netted more at home, with Newcastle also conceding 182. The Reds have kept five clean sheets in their last six league games. They have prevented the opposition from finding the net in the last three home games. 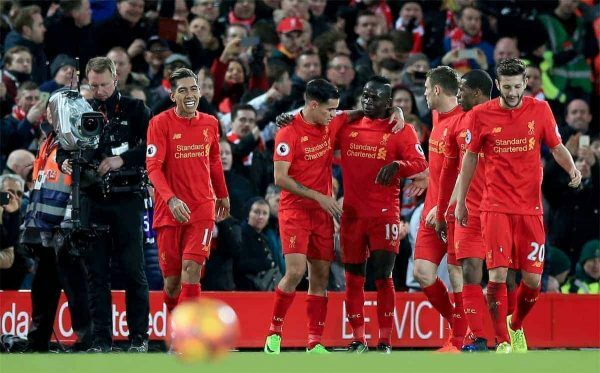 Do so again against Arsenal and it will be the first time since May-August 2013 they have kept four in a row at Anfield in the top flight. Sadio Mane‘s first game in English football was against Arsenal in a League Cup win at the Emirates in 2014. He netted in both league clashes last season. 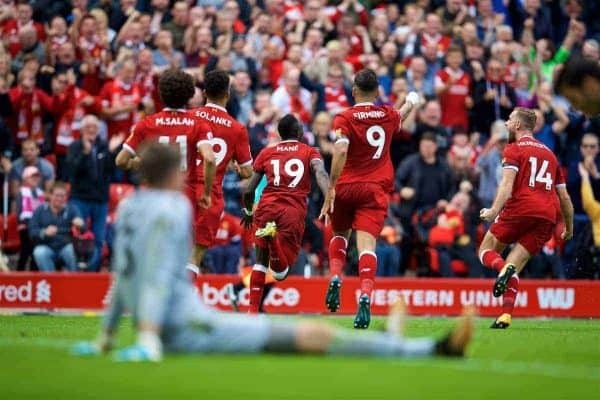 Should Mane score he will be only the second Reds player in the last 23 seasons to find the net in the first three league games of a campaign. The other being Daniel Sturridge in 2013/14. Of the teams that finished in the top six last season Arsenal lost most away from home (seven). Home and away last season the Gunners picked up nine points from 10 league games against Chelsea, Liverpool, Tottenham and the two Manchester clubs. 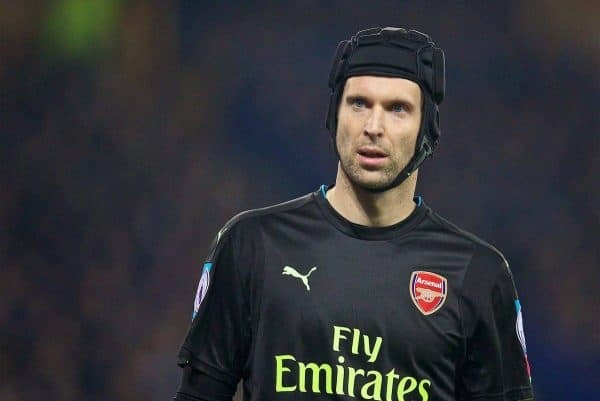 The Gunners have kept one clean sheet in the last nine away league games. Only twice in the last 25 seasons have Arsenal lost two of their opening three league games of a season. In those campaigns (1994/95 and 2011/12) one of the defeats was inflicted by Liverpool.